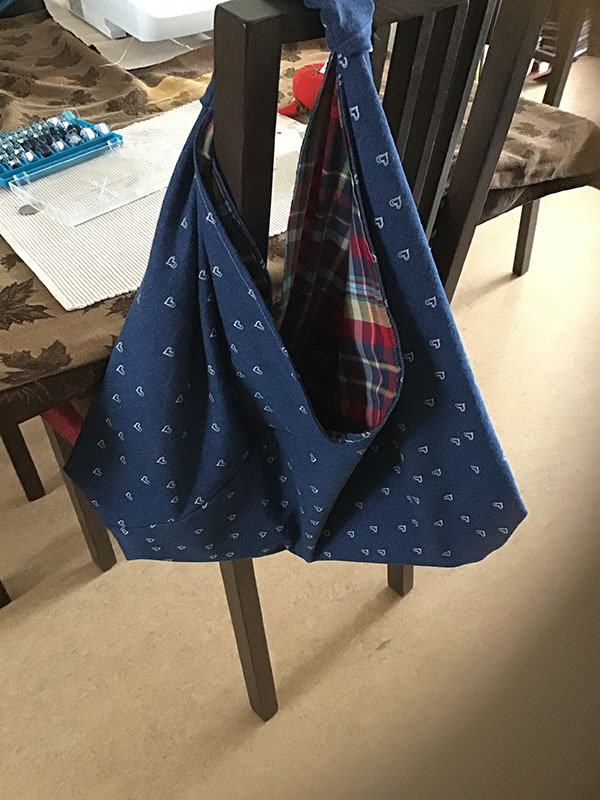 Note from Alanda Craft: Esther’s origami tote bag turned out just lovely. The plaid lining certainly suits the main fabric. I think Esther origami bag looks great. These are such handy bags for market day. You can make your own origami tote bag from our free tutorial. I had a few hickups making this bag but I think it turned out alright.